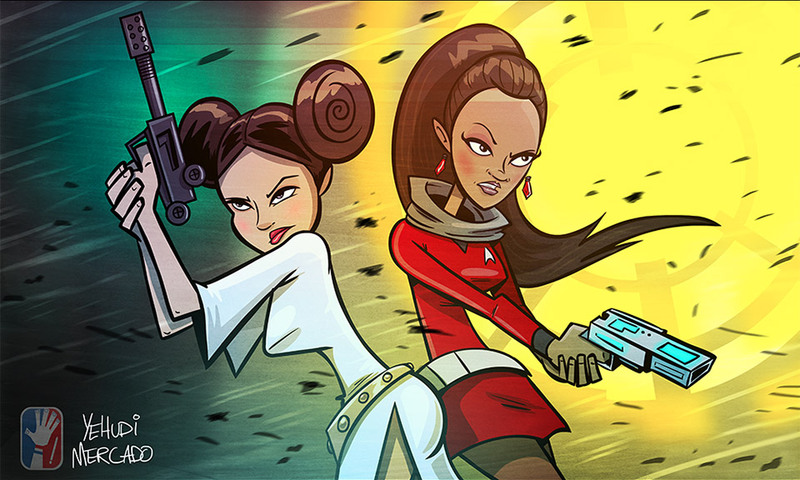 Writer/ Director/ Comic Book Artist Yehudi Mercado who, among his many talents, creates some terrific artwork based on comics and films and superheroes made this limited edition illustration of Princess Leia and Lieutenant Uhura fighting side-by-side at last. We not sure whether they’re battling against Stormtroopers or the Romulans. This print will be exclusive to Heroes Con 2013. Get it at SuperMercado Comics Table 621.